Scott Elmquist Singer and pianist Steve Bassett inside Montrose Recording studio just north of Richmond. 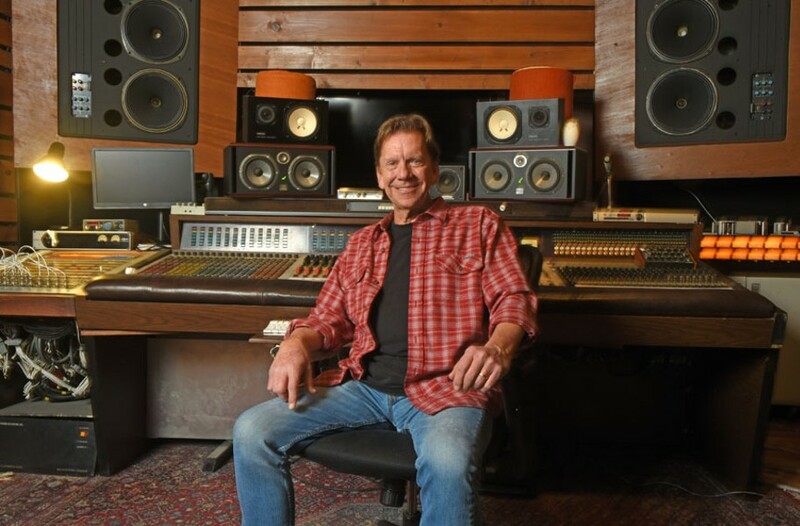 About 10 minutes north of the city, in a nondescript subdivision, sits a really cool recording studio built by the father-and-son musical team of Bruce Olsen and his son Adrian in 2003. Not only is it situated in a relaxing, rural setting with plenty of space for artists to chill, but the inside of Montrose is filled with vintage gear and the pièce de résistance: a 1969 Flickinger recording console originally bought from Paragon Recording of Chicago, formerly used on all the Ohio Players albums and several by Styx. It somehow made its way to the Olsens after the death of Mark Linkous of Sparklehorse. They've since done a lot of work on the studio, redoing the acoustics in the live room and control room and getting the console going. It's a beautiful spot. Engineer and musician Adrian Olsen, who primarily runs the studio now, has been working a ton with growing local label Spacebomb on big arrangement projects such as the recent album by Natalie Prass. "I think [Spacebomb] is going to take up about half of my time this year," Olsen says. "I've been super busy." There are some amazing projects coming out of this studio and word of mouth is growing.